Facebook now Allows you to Convert Profile Pages to Business Pages! Back in the day we set up Facebook PROFILES, then Facebook PAGES for our clients. The PROFILES are identified with a business name. PAGES were set up too and people got confused since the content ended up being redundant. 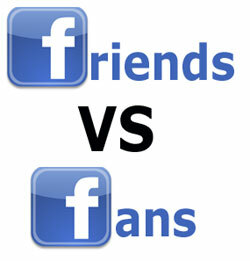 We would like to transfer FRIENDS (and perhaps content) from the PROFILE to their respective PAGES. Can we do this? If yes, how? Answer: This used to be a huge problem and you were certainly not alone in the practice of setting-up a profile page as a pseudo-business page. Before Facebook Pages took off, many private individuals chose to set-up their business activities under a personal account, which necessitated them having to then individually approve everyone access to the page. Needless to say, this was not very user-friendly and as you correctly pointed out, once a client moved to a Facebook Business Page model, they found they couldn't import content or "friends" over from their original Profile page. Instead, page owners were forced to repost content and then individually "share" their page with friends and fans to encourage them to migrate over and "like" the new Business page.